Forget Me Not is a meme created by Steph from The Thoughts of a Book Junky where slightly older but still great books are shared. 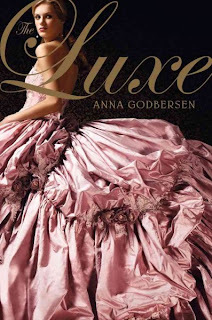 This Tuesday, I am going to feature an older book that, while I didn't love, I think it still deserves mention: The Luxe by Anna Godbersen. When you're done reading the review, come gush with me over this beautiful cover in my cover review. The year is 1899 and society is mourning the death of the beautiful Elizabeth Holland as a result of a freak carriage accident that lead to her drowning. The events of the story rewind to a month earlier and readers follow the lives and lies of Elizabeth, her secret beau, her fiance, her sister, her maid, and her backstabbing best friend. Readers are quickly swept up in the gossip and glitz, but uncovered secrets reveal that Elizabeth's carriage accident may not have been an accident at all. A mysterious death, an upstairs-downstairs affair, a marriage of convenience, a scheming social climber, a jealous maid, and a man in love with his fiancée's sister make up the sordid plot of The Luxe, the first in a four-book series about Manhattan's wealthiest families. While it may sound like a lot is going on, I found the 400+ pages to be surprisingly dull. Thinking back, the plot can be summarized quickly and so I'm not quite sure what was filling all those pages. The book is covered with quotes and references to both Edith Wharton and Gossip Girl. Both of these influences are apparent in the book, but sometimes they're a little too apparent. If you are familiar with either the Gossip Girl book series or television show, then you'll definitely recognize Blair, Serena, Nate, Chuck, and Jenny in their Luxe counterparts. I enjoy the GG books and television show for what they are, and I was a little irritated to see it cribbed so closely here. On the other hand, I was also disappointed that this book lacked the glitz and snappy speculation of Gossip Girl. There was gossip and glamor, but the gossip wasn't as biting or juicy as I was hoping and the glamor didn't live up to the cover. Part of the fun of reading about wealthy people is that you can immerse yourself in their rich lifestyle, but I had trouble feeling like I was actually there. I looked at that dress on the cover and I hoped reading the book would make that dress come alive, but it didn't really. The lack of glamor in the main character's life also weakened this aspect. The characters felt simply drawn and I didn't really like or care about any of them. For me, they also suffered in comparison to their GG equivalents, feeling like pale imitations. I figured out the climatic "big reveal" in the opening chapter, which made the rest of the book frustrating to read. I also didn't really feel like I was learning anything about the historical time period, though this would be a benefit for people who want to read a gossip novel set in that time period but don't really like heavy historical fiction. Overall, I didn't really enjoy this book, but I didn't dislike it either. It was ok. My biggest complaint really is just that I was bored. If I hadn't figured out the climax in the first pages, then I probably would have enjoyed this book more. As it is, I don't think I'll be reading the rest of the books in the series. It's not that I think they'll be bad, it's just that I have other books to read that I think I'd enjoy more. In comparison, my sister loved this book and sped through the whole series in a few days. So what do I know? I pretty much had the same reaction as you through the entire series and wasn't really happy with the way it ended. I think reading other books may be a better idea for now. I read this one a couple of years ago, and I did like it, but you're right, it is a bit like Gossip Girl. But then, I could never finished the series. I liked this one okay enough, but it didn't make me want to read the rest, especially after I found out how the series ended. Awesome review!!! And omg that dress on the cover! I would so wear that. Everyday. I considered reading this one, but when I saw it at Borders and read the back, I didn't feel like I would enjoy it. So I don't think I'll be picking this one up anytime soon. Great review! Your reaction to this sounds like my reaction to Bright Young Things! I was a little let down too. It's all a bit style over substance. I love the covers though. Still haven't read this series, and I'm not sure I will now. A Canadian Girl, Ugh, thank you for the confirmation. I definitely won’t be picking the series up again anytime soon then. A bad ending after all those pages? NO thank you! Anime Girl. I’m curious now how the series ended. I’ll have to ask my sister. Stephanie, Glad it helped. It’s pretty much “what you see is what you get” so if the description doesn’t grab you, then I don’t think you’d like the book. Nic, This is very historical fiction “lite” If you’re interested in more serious historical fiction, then I highly recommend Cate of the Lost Colony. I’ll have my review for it up this Friday. I have yet to read this series, mostly because I don't think I like it. Thanks for the review. Ooooh, I actually really, really liked this book :) It felt like a nice break from all of the angsty contemporary books I'd been reading at the time. I have the second one in my book bag right now! PS: Highlighting all of the challenges that it fits into at the end was a great idea!! Though I adore Edith Wharton, I really do, sometimes her novels can teeter on the edge of dull, too. I have to admit, I was instantly intrigue by the opening to your review because it sounded like a lot was happening. How disappointing to find that it didn't really wow you. Honestly, I thought the first one was the best in the series. And if you thought that this one was just okay, then you're saving yourself a lot of time by quitting after the first book. 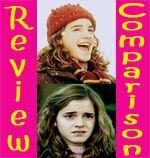 To me, the series went downhill after the first book & it became such a huge disappointment. 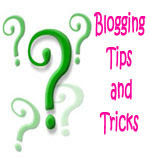 As for your comments: the next book for The Agency is due in August 2011 in the UK. I will probably order from the Book Depository! :) I've already read Shiver but I managed to snag another copy. Love the series. I appreciate the honesty of this review. I've thought about reading this book for a long time, but it takes a lot to intrigue me, and I'm not sure if the plot is strong enough to do so. How funny you should feature this book this week... I've got it on my nightstand now, and hopefully will dig into it soon. It's something that I've been meaning to read foreeeever, and the dresses on the covers for the whole series are stunning, no? I guess I'm looking for something as deliriously wonderful as the Gemma Doyle trilogy by Libba Bray. Haven't found much that is it's equal - except for The Vespertine, coming out in March, which I just finished and really loved. Haven't read this or Gossip Girl. I find that I really am not interested in the lives of the rich and elite. Your first sentence slightly intrigued me but then you say that despite all that going on it was still dull, so that confirms how I would probably feel about this read. I just don't think it would be for me either. Savannah, Honestly, I read it primarily because of the cover. If the premise doesn’t strike you, then I don’t think you’re missing much. Katie, I can see how it would be a good break from angsty contemporary. :) My sister adores the whole series, so if you liked the first one (she says) you’ll probably like the rest. I’m glad you liked my challenge list. I’m going to try to remember to include a challenge list in each review. Cialina, Good to know. My sister would disagree, but I think I’d agree with you more than with her. Oooh lucky Brits getting the book early! Melissa, I wasn’t blown away, but if you’re even intrigued enough to pick it up I wouldn’t say it was a complete wash. I don’t regret reading it, but that’s about it. Madigan, I hope you enjoy it more than I did! Although, even having not loved the book it was almost worth it just to see that cover up close. You’re absolutely right. Those dresses are beyond stunning. Hm…Gemma Doyle trilogy…. 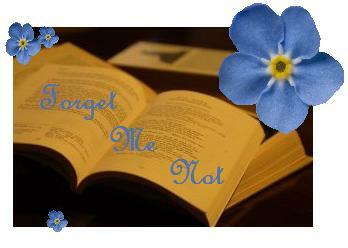 Have you checked out my Gothic Fiction Spotlight posts? 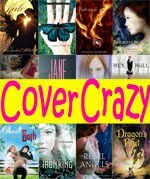 You might like some of those books, especially the Prophecy of the Sisters trilogy by Michelle Zink. Aylee, If you’re not interested in that genre, then you’d probably not be very interested in this book at all. It was very much a watered down Gossip Girl. Great review! I've always wondered about these books. I really do love the covers, mostly just because of the dresses, but I haven't ever delved into them. I'm glad I came across this review! Hm. Too bad on this one, when the characters aren't full of life, it definitely makes for a dull read. I haven't read any of this series, and I think I'll hold off on this series for a while after reading your thoughts, there are just so many other good books out there to stop and read one that's just okay. Thanks for your honesty! Glad you both found the review helpful! You're right, Jenny, there are too many good books out there. That's exactly what I feel about the sequels.